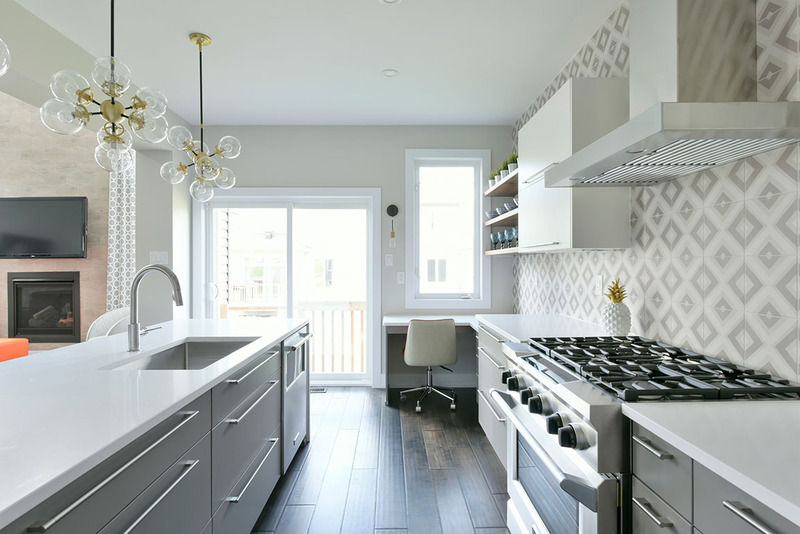 Spectrum Kitchen & Bath Design, initially called Cartier Kitchens Ottawa, was formed in 2008 by Peter Summers, Sandra McLaurin, and Lori Di Saverio. The three partners teamed up after the company they worked for together for many years closed their doors. It’s been a winning dynamic — Peter brought his hands-on experience to the table, and Lori and Sandra had built a healthy repertoire of both large and small-scale builders and developers they knew would need a new supplier. For the first few months, Lori and Sandra ran the business from their homes while Peter juggled his role as co-owner of the new company. At this time, he also had a short-term contract with their former employer to close the showroom and transition existing clients. In 2009, the team found a space on Slack Road in Nepean and opened a small showroom and office space. For the next five years, they worked predominantly with builders and contractors in the Ottawa area. When their lease was up in the spring of 2014, they found a new home on Hazeldean Road in Kanata. With ample space in a very prominent location, the team knew this was a place they could grow their business and expand into the retail market. They then opened temporary office space in another vacant unit in the building, all while renovating their new location to include a large showroom and second-floor offices. At this point, deciding the time was right to rebrand their company, the partners changed the name of the business to Spectrum Kitchen & Bath Design. It was chosen to reflect the broad spectrum of design options they offer to builders, contractors, renovators, and homeowners. Today, when you walk into the state-of-the-art showroom, you can experience ten different kitchens and two bathrooms. These displays are updated frequently to reflect the latest styles and trends. Spectrum has two principal suppliers for their cabinetry: Cartier Kitchens and Cortina Kitchens. Cartier Kitchens’ cabinetry is manufactured in Brampton, Ontario, and is 100% Canadian owned and operated. They have been chosen as the primary supplier for Spectrum because of their solid reputation and quality workmanship. If you’re in the market for a higher end kitchen, Cortina Kitchens offers a more customizable selection of premium hardware and handcrafted artisan finishes. You can even visit the Benjamin Moore store right next door and have your paint colour custom matched by Cortina Kitchens, adding another level of customization to your kitchen.